To me, sweet spot training is riding at a high intensity, a little below race pace. (80-90% of FTP) It corresponds to Level 3 in some training manuals. It can also be referred to as ‘threshold training’. To me, interval training means doing 3-5 mins @ 110-130% of FTP. If my FTP is around 300, a ‘sweet spot’ ride may average 230-260 watts. Hill intervals will be around 330-400+ watts. One other point, this assumes some degree of more traditional endurance base level riding. There is a debate between the different methods of training. Some coaches and riders, place a lot of faith in ‘sweet spot’, others put more focus on intervals. I know riders who, at different times, have talked about the superiority of both! Perhaps I fall into that category too. In recent years, I have done more sweet spot training than I used to. In a sense, ‘sweet spot’ is pushing from below. Intervals are pulling from above. Both can give benefits to race performance but in different ways. Sweet spot offers a high return on increasing aerobic power. It should also lead to a quick improvement in fitness. After two months of ‘sweet spot’ training, most will see significant improvements in fitness. Enables a higher CTL (Chronic Training Load) because it can enable high intensity, without too much fatigue. After a day of sweet spot, a fit rider should be able to repeat on the next day. With intervals, there is a greater need for rest and recovery. Therefore, with intense intervals, the total training load may end up being smaller. For those with limited time, it is an efficient method of training. It is certainly more efficient than long, slow endurance training. Most races/cycle rides will benefit from this improvement in aerobic fitness. Increases anaerobic capacity vital for higher intensity racing. Gives valuable practice for getting up steep British hills. Pushes you out of comfort zone and stretches your limits. To some extent, it depends on the racing that you are doing. If you are doing long distance time trialling, ‘sweet spot’ is ideal for preparing for these long endurance efforts. If you are racing one-hour criterium, ‘sweet spot’ training is good as a base, but also starts to have diminishing returns. In a criterium or cyclo-cross event, you need a lot of explosive power for the anaerobic intervals up short hills and racing out of corners. For a sportive rider seeking to travel to the Alps, sweet spot training is an excellent way to replicate long Alpine climbs. If you are climbing a steady 8% gradient for 20 km, in the sportive you will be doing these hills at a similar intensity to your ‘sweet spot’. For a sportive rider preparing for a British sportive in the Lake District or Wales, ‘sweet spot’ training will be very helpful; but it would also be advisable to do so some intervals to prepare you for those challenging, steep hills, where you need a big effort to get up. Whatever kind of rider you are, it is good to incorporate a base of sweet spot training (and slower endurance riding also). For example, a pro-cyclist doing six hour races, a good proportion of this will be at level three endurance. 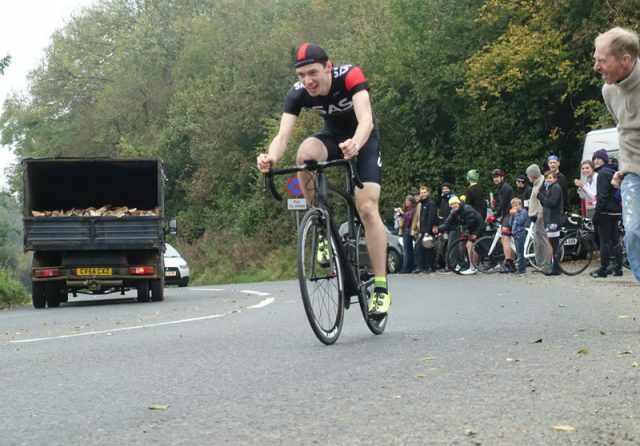 A road race will obviously have a finishing crescendo which gets up to maximum effort. But, to compete in the sprint, you need the endurance to get to the end of the race. On the other hand, even for a time-triallist, VO2 max intervals can be useful for getting that extra few percent. Also, if you look at power meter in a time trial, it is not constant. Going up hills will require a power output higher than average you can maintain for an hour. 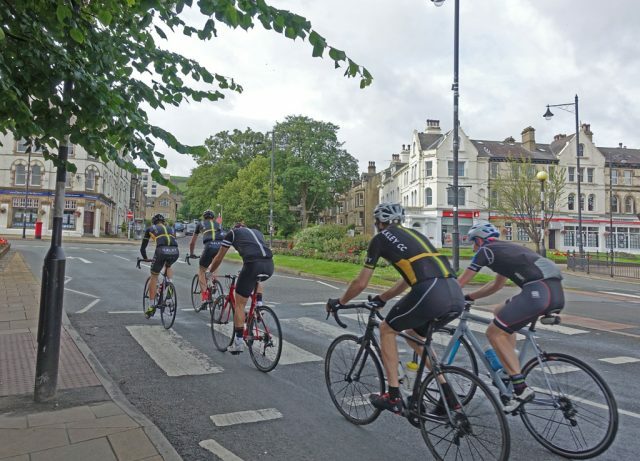 As with many aspects of cycle training, it may depend on the constitution of the rider. If you find intervals very exhausting, you may want to concentrate on ‘threshold’ riding. If you get bored of threshold riding, try intervals just above race pace, and see if you notice any improvement. I have tried all training techniques. But last year was an experiment with doing a lot more sweet spot and very little interval training. The reason for this switch in training was due to the fact my main goal last season was BBAR and 12 hour time trial. With this kind of long distance time trial focus, it seemed to make sense to tailor my training to the needs of these long races. As a side-effect, I did quite well in 10 mile and 25 mile time trials too. I set pbs for my local Bentley course. This was partly due to aerodynamic improvements, but power figures were good. One thing about last year is that I missed doing hill climb intervals. I was so focused on sweet spot training, I didn’t get round to doing many hills. In fact, because I was riding a 56 single chain ring, I was riding around looking for the flattest routes. This year, I’ve got to the stage in my cycling career, where I worry less about the latest training studies and choose training depending on what I feel like doing. This year, I want to get back to hill climb intervals – not so much in the hope of improving time trial times by 1-2%, but because I enjoy the challenge of training up hills more than cycling around on the flat. Yesterday is still early season for training. I went out for a 90 minute sweet-spot ride at 250 watts. But, for the last ten minutes, I decided to increase the effort to race pace. I did the last 10 minutes at 320 watts. I wasn’t following any training manual, I just felt like doing it. Nice post. Will rent a nice road bike from Fat Lama this weekend and give it a shot. Awesome stuff 🙂 will be renting a bike from Fat Lama to go out this weekend.